The entertainment industry has a reputation for rewarding the well-connected and fulfilling the mantra “it isn’t what you know, it’s who you know” but crowdfunding is changing that. We live in a world with few boundaries; any corner of the Earth can be visited and any path followed. However, the global economy is still driven by profit, so many important pieces of creative work simply aren’t being made. Investors are cautious of accepting projects which may not guarantee them a large return, but does this mean that a project isn’t worth pursuing, that a film isn’t worth making, that a story shouldn’t be told? As a film producer you can apply for government funding through the British Film Institute, but their resources are limited and by all accounts nepotism is still rife. You can beg/borrow/steal from family until you’ve scraped together the cash, or your cast and crew can always accept deferrals until the box office has started turning a profit, but self-funding is so difficult that it puts many capable filmmakers off their art entirely. The result is a catch twenty-two where no one will invest in you until you have credibility, but to gain that credibility you need to create exceptional work. This is where crowdfunding provides a solution. By raising the necessary funds through multiple channels, crowdfunding allows each investor give less rather than a few giving a lot. Not only does it make the film industry more accessible to innovators seeking to produce work, it also helps smaller investors contribute towards making work that otherwise might have been shelved. By having multiple investors, you increase the number of people in the ‘tribe’: the people who want the project to succeed. Peer recommendation is an invaluable tool in any business but is particularly evident within the film industry. Whether it made you laugh or cry, lived up to the hype in the reviews or was a waste of time; discussing films is part of daily conversation among most peer groups and can be utilised as free publicity. 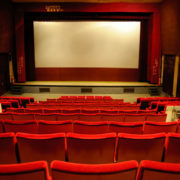 Crowdfunding, by increasing the number of investors in a film, increases the number of people recommending the film to their peers and subsequently increasing the audience paying to see the film. Many in the film industry have recognised the value of the ‘tribe’, accounting for the increasing popularity of crowdfunding not only among startups, but also among established studios, some of whom are now recognising its merits over alternative funding. The ‘tribe’ not only helps to maximise the film’s revenue, it also provides more security should an investor pull out unexpectedly because the proportion of the overall funds lost will be small; therefore, having a minimal impact upon the continuation of the film’s production. The tribe of other investors involved want to see the film succeed and therefore are likely to be able to assist by directly or indirectly sourcing the shortfall of funds. Crowdfunding itself has become more accessible thanks to platforms such as Kickstarter, Crowdcube, and the film industry specific, Slated. Users can reach a much wider audience, make payments online, keep track of how much has been invested and post updates on the project. For the past five years Kickstarter funded films have been nominated for Oscars and this year is no different with Charlie Kaufman’s Anomalisa being nominated for the Animated Feature Film category. These films push the boundaries of mainstream cinema, using techniques and tackling subject matter others avoid. For example, Anomalisa uses stop-motion animation which is time consuming and has mostly been left behind in mainstream cinema as digital animation techniques have developed. The majority of the other recent Kickstarter Oscar nominees have been for the “best documentary feature” and “best documentary short” categories. Particular subject matters are avoided in mainstream cinema because investors believe that they won’t appeal to a mass audience and so won’t make as much profit. Businesses today are driven by profits; a bigger audience means bigger profits and in turn a better investment, but this is sacrificing some exciting new ideas. Despite having less mass appeal, these crowdfunded films are clearly high quality work as is being recognised by the award nominations. The success of crowdfunded films has demonstrated just how valuable it can be to have the support of the ‘tribe’ behind you. As well as being more accessible to startups wanting to engage with the film industry, the increasing popularity of crowdfunding among industry leaders shows that people are recognising the value their tribe brings.